🔔 We would like to propose accurate 3D maps for the 5G network pre-planning phase for a reasonable level of prices. Visicom ® produces high-level geodata for 5G planning because we have 20 years of experience to cooperate with telcos and operators world wide. * That is why you can be sure of the quality of our products. 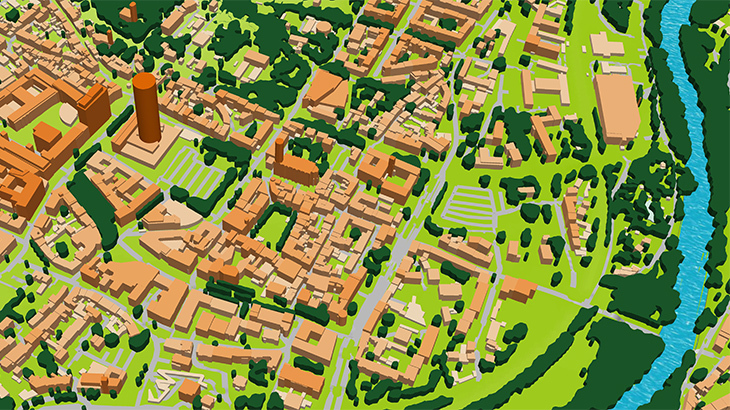 We have 3D buildings and vegetation models for 5G network planning which are fully optimized for use with Millimeter Wave (mmWave) frequencies and can be used in different tools like Atoll, Asset, Planet, ICS etc. Basic vector layers: roads, streets, water lines etc.